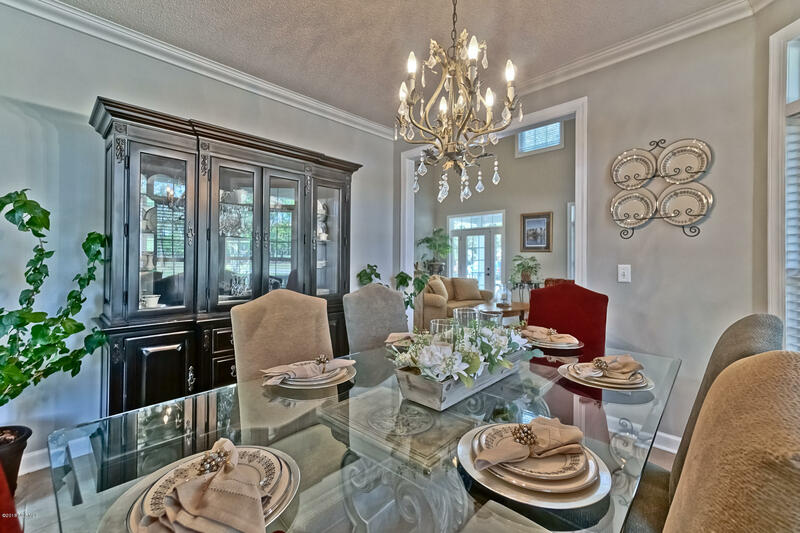 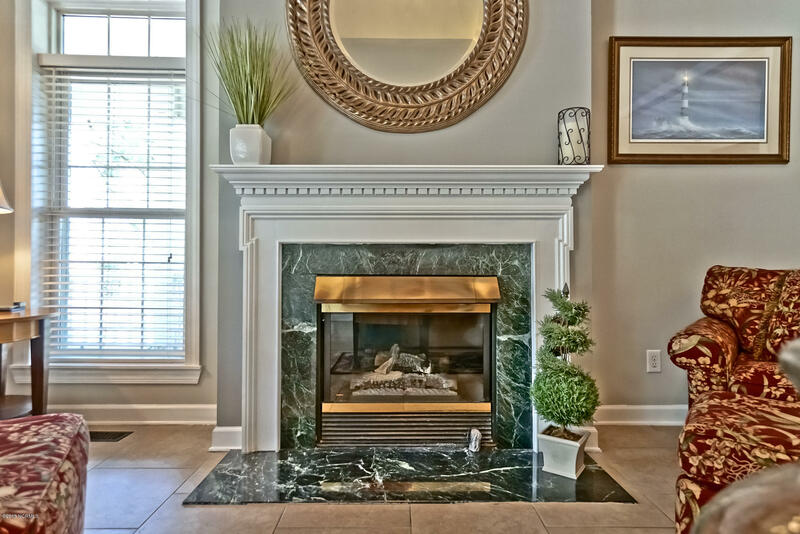 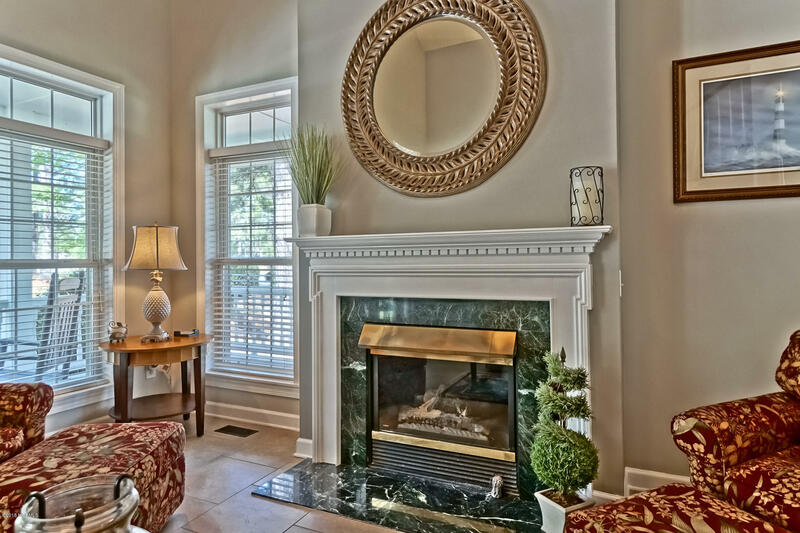 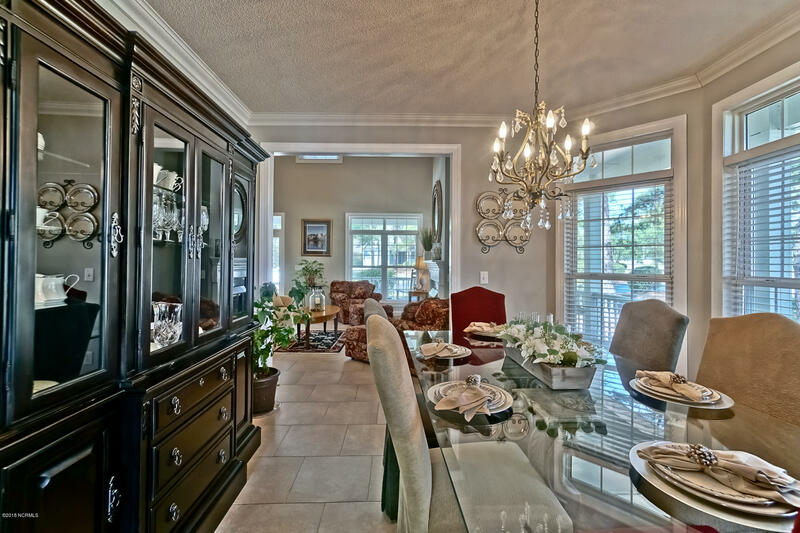 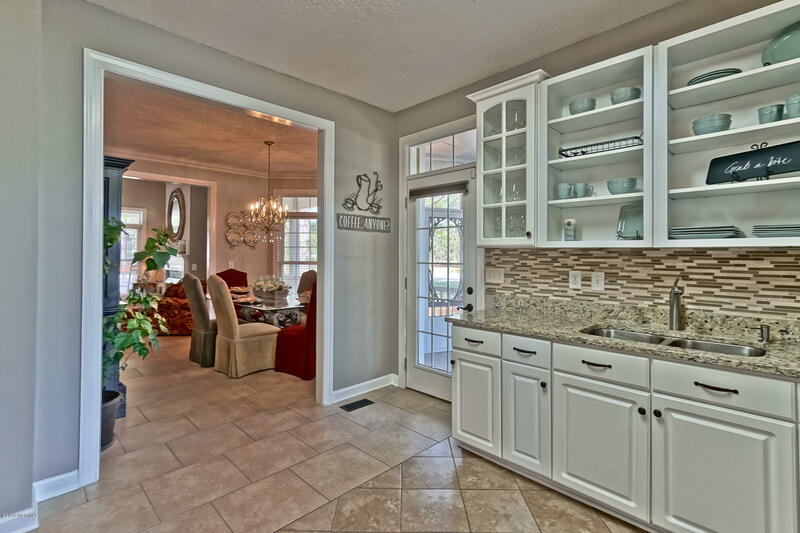 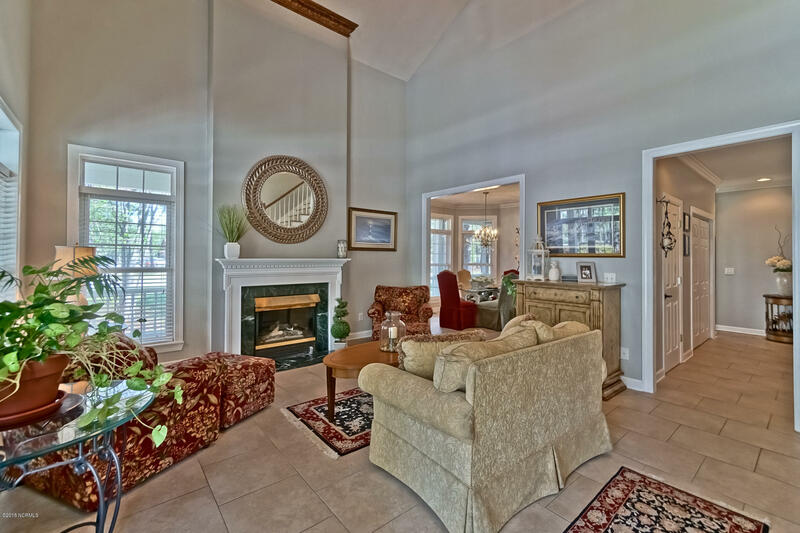 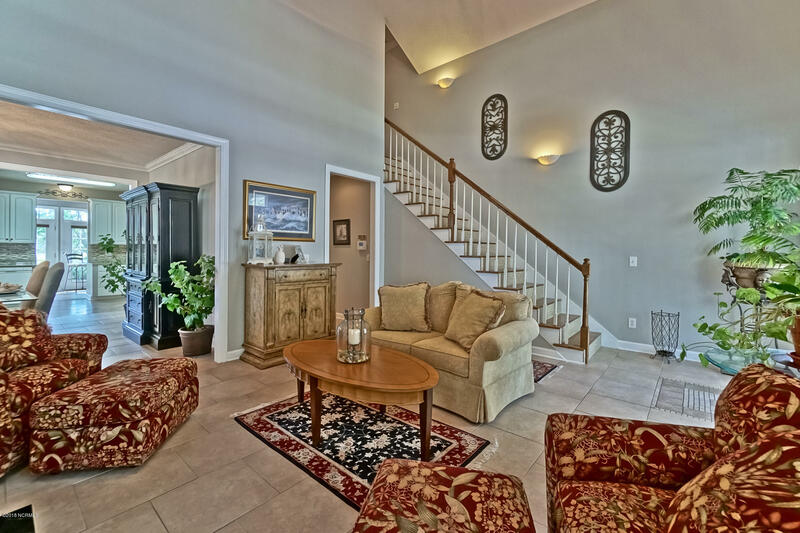 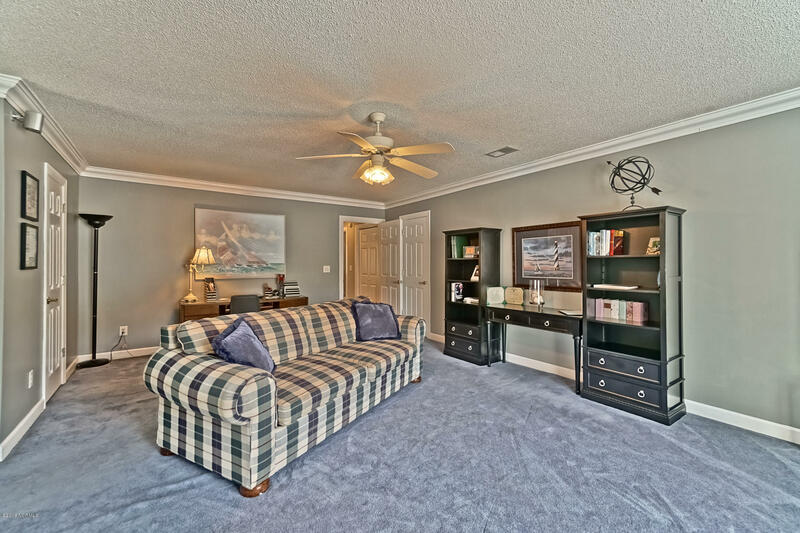 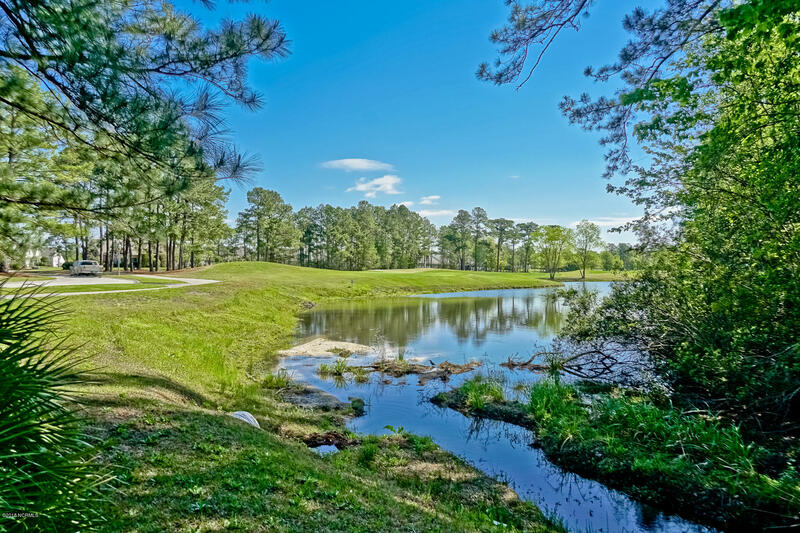 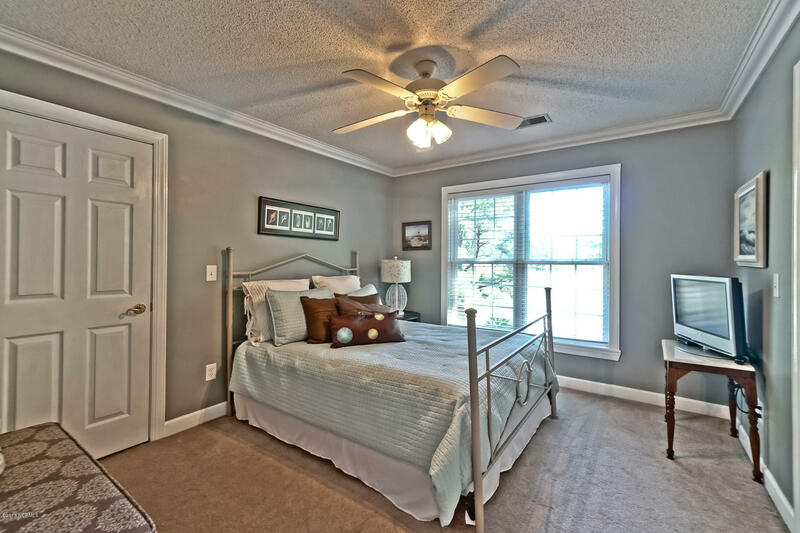 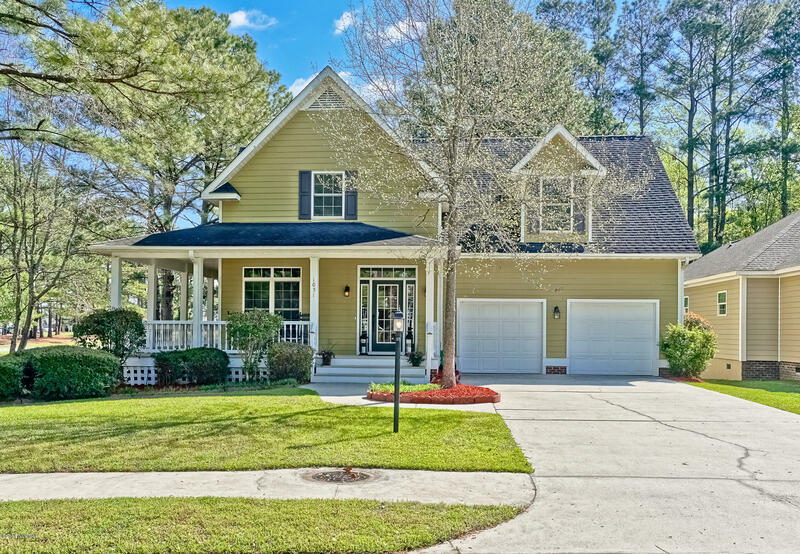 BEAUTIFUL CURB APPEAL WITH WRAP AROUND FRONT PORCH inthis lovely 3 BR 2.5 BA former model home in a golf course community.Downstairs stroll through the Travertine floors and be in awe of thecathedral ceiling above a welcoming living room with gas fireplace. 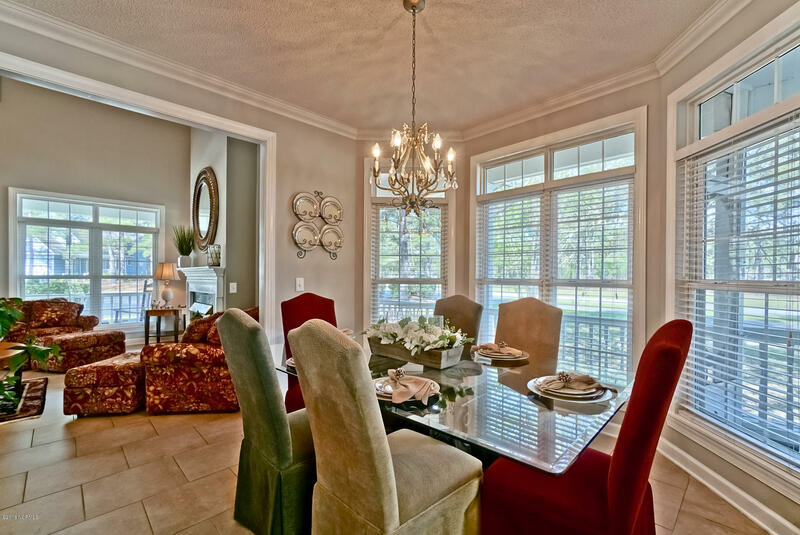 The freshly painted Living roomflows into a formal dining room featuring an attractive bay window. 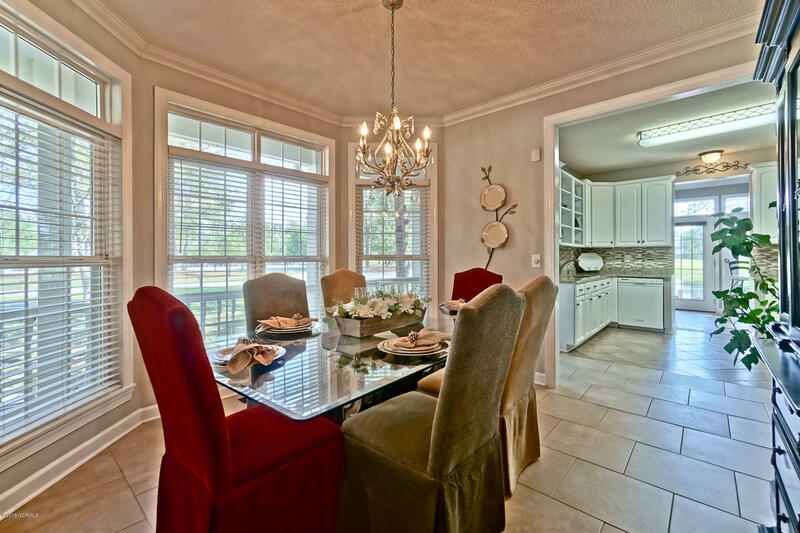 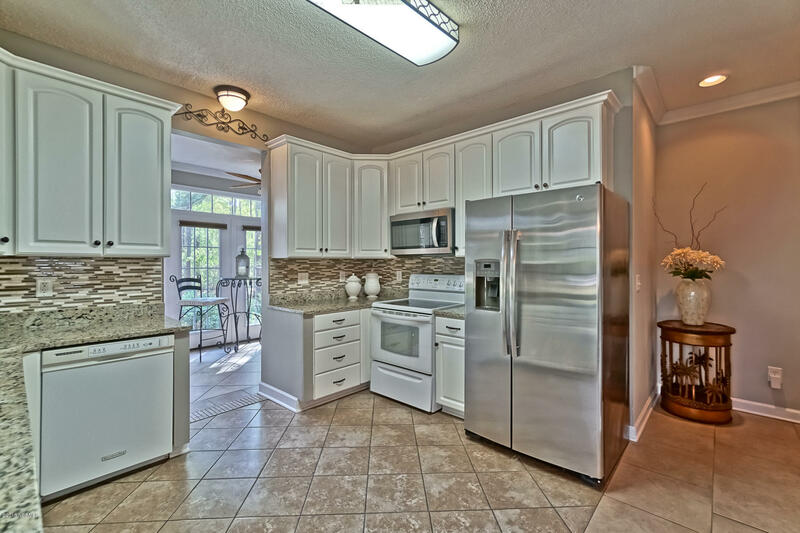 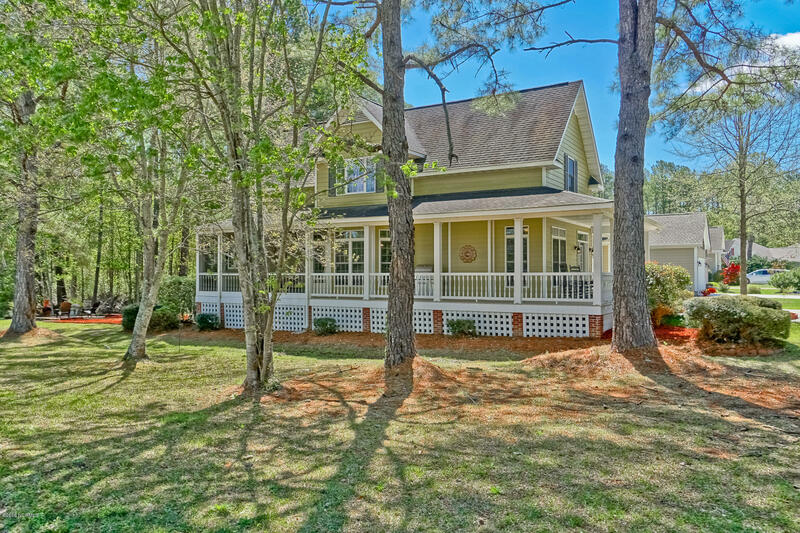 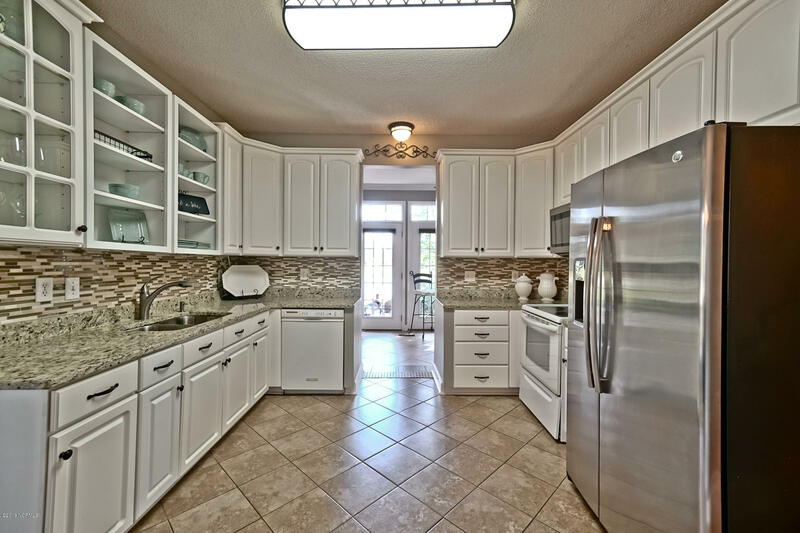 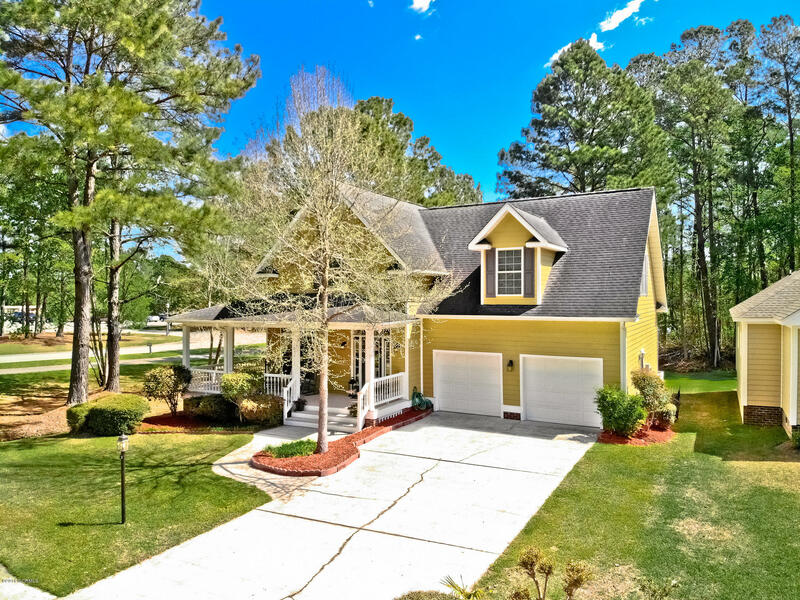 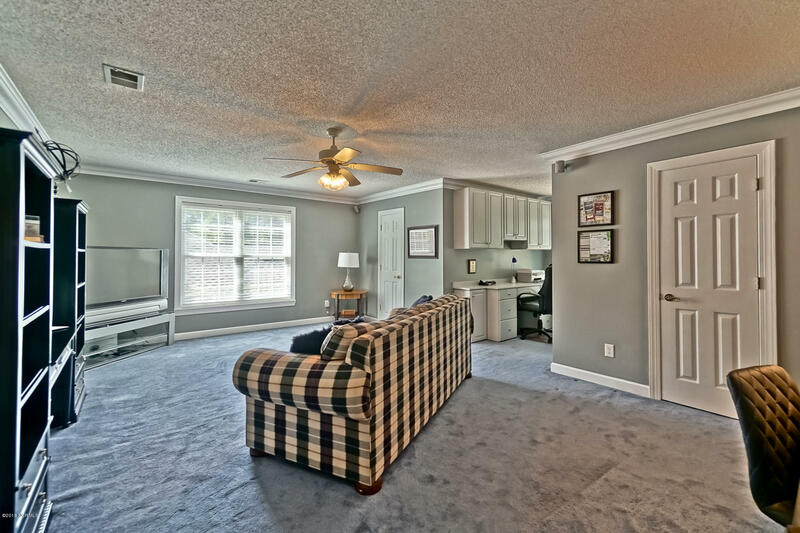 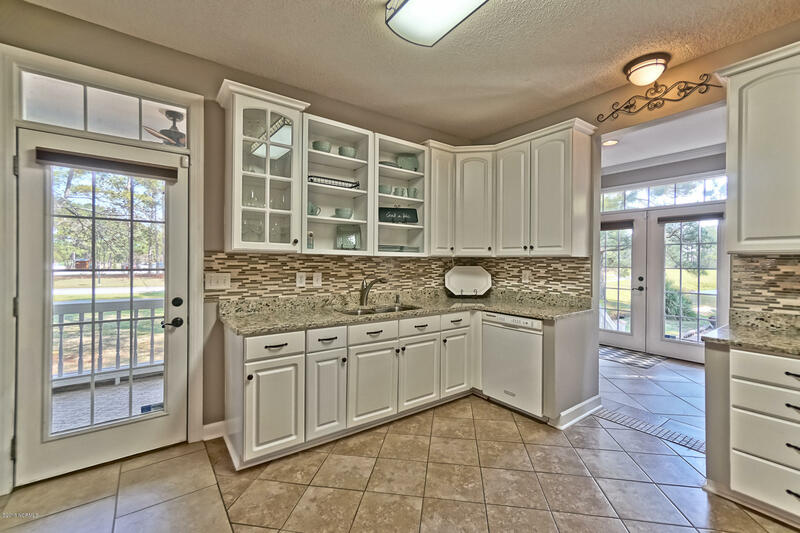 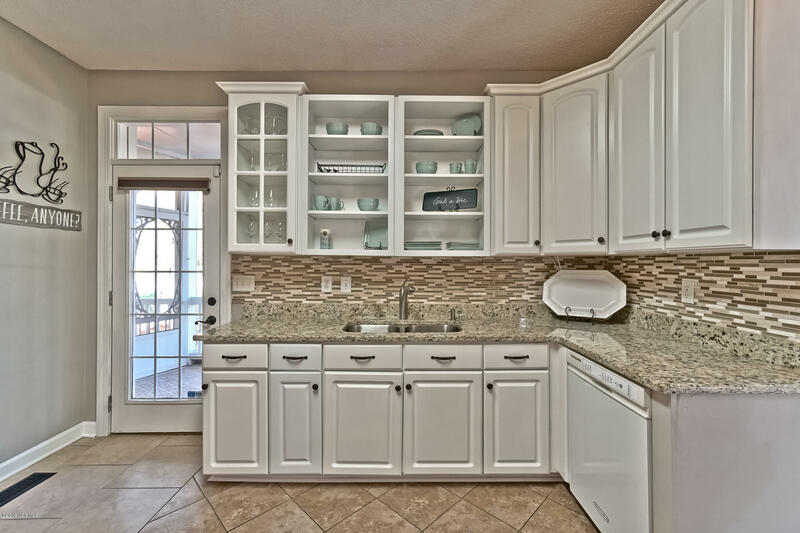 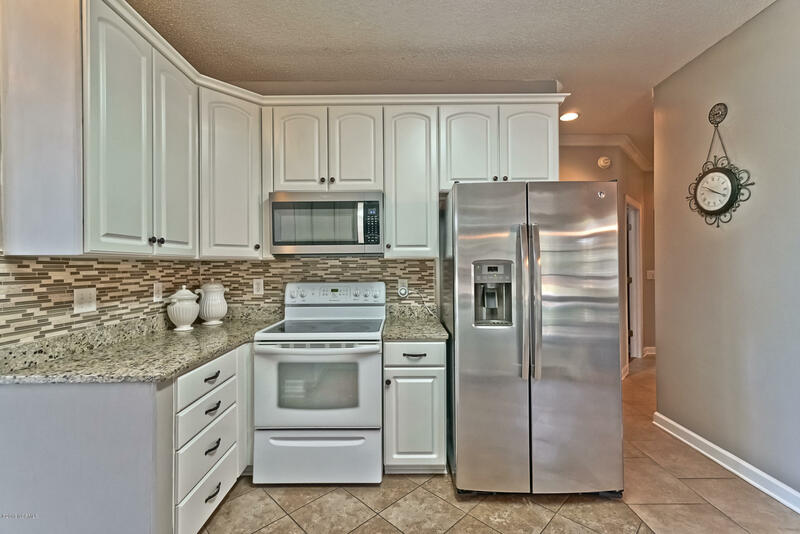 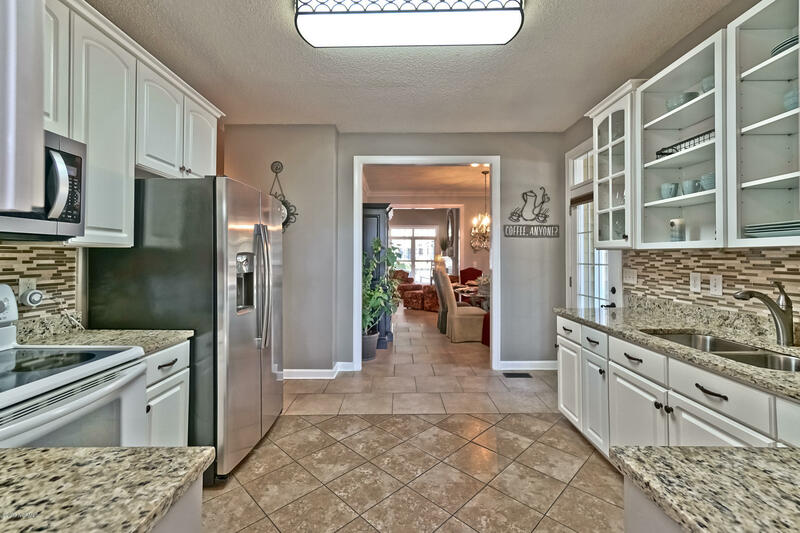 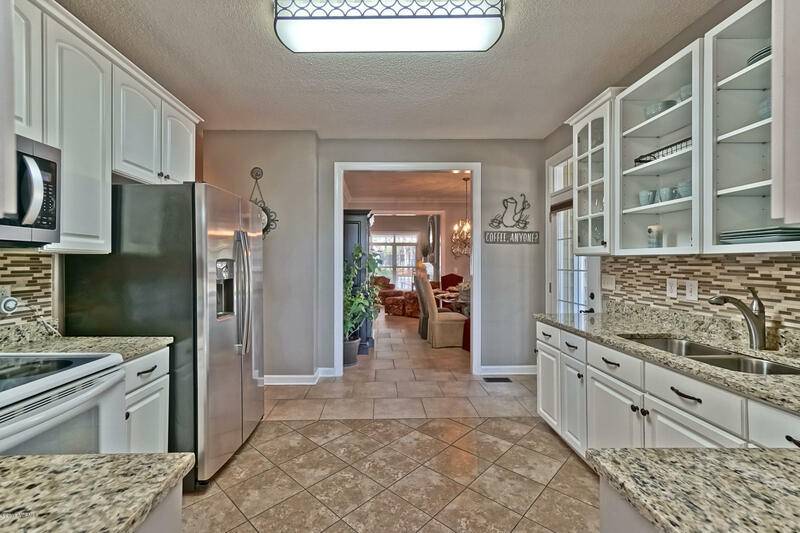 Aremodeled inviting white kitchen, highlighting granite countertops, new stainless steel dishwasher and stove, and a tiled backsplash, leads to a pleasant Carolina Room with transom windows which offer an abundance of light, scenery and the perfect spot forbreakfast or socializing. 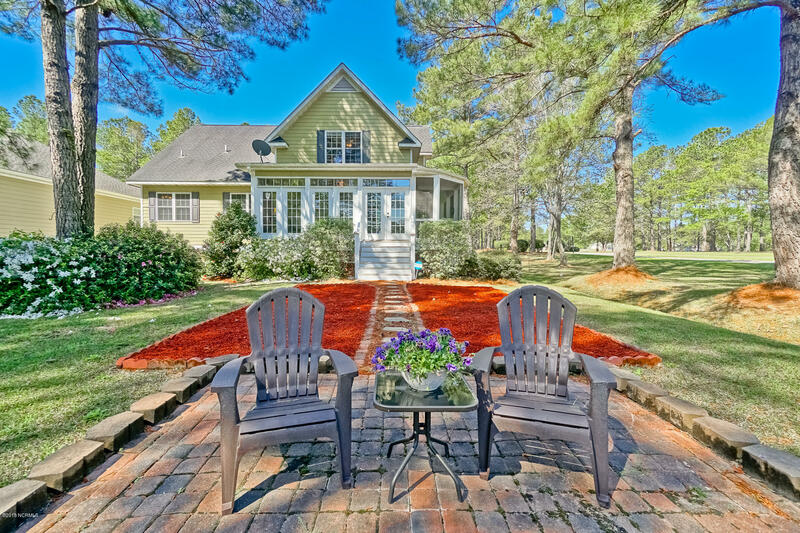 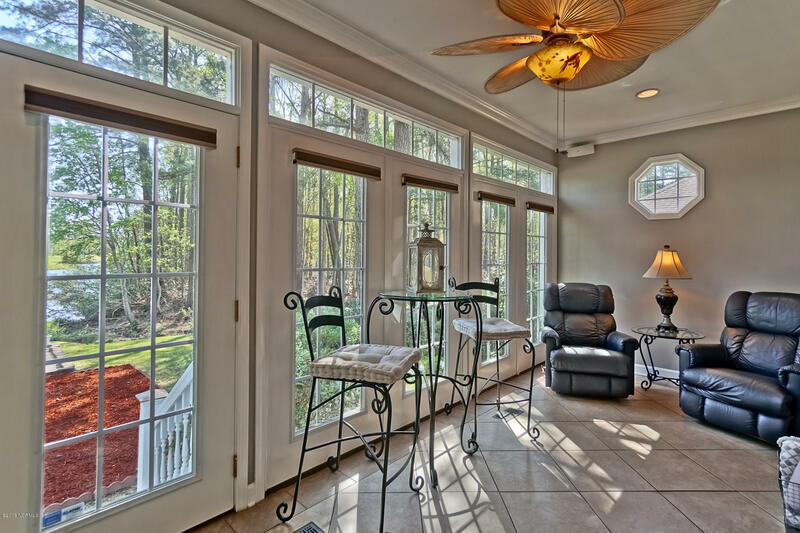 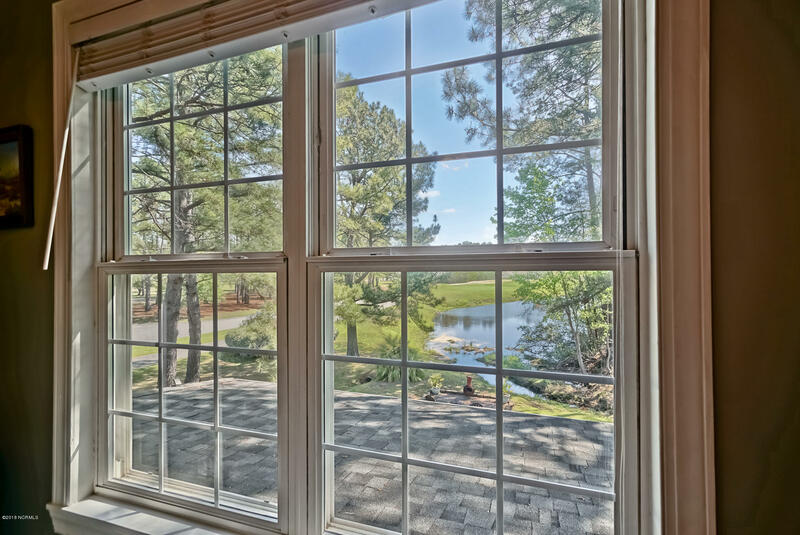 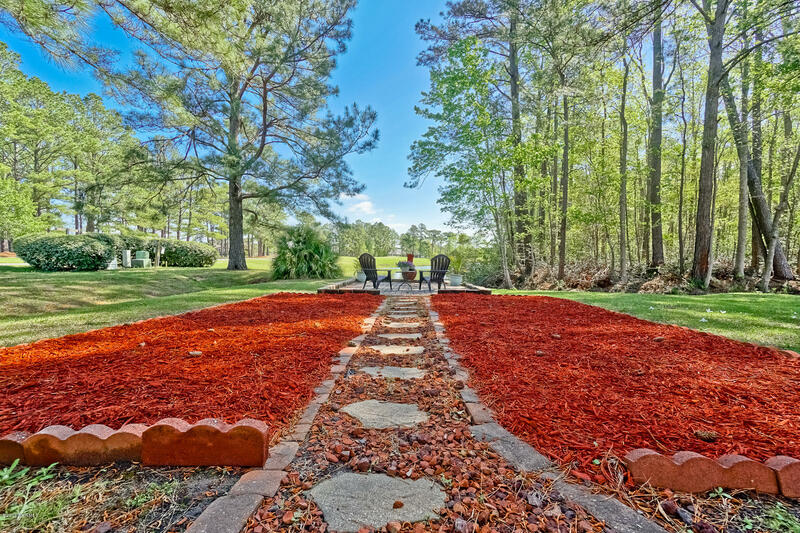 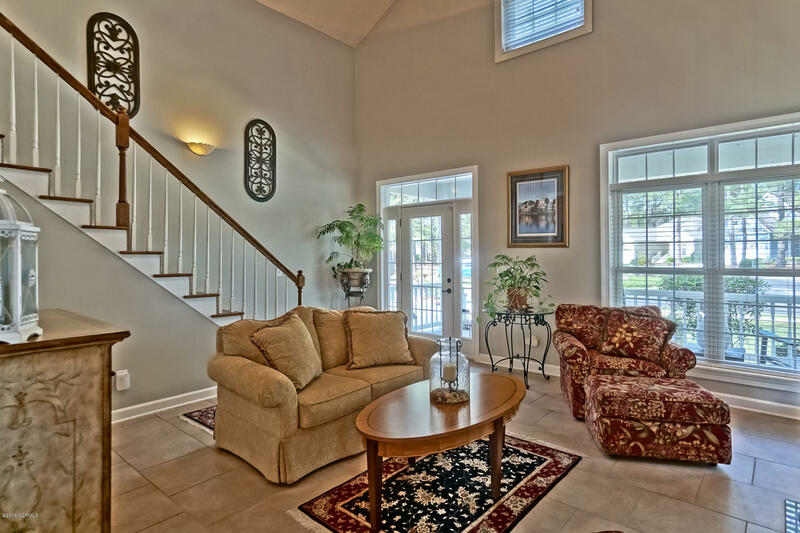 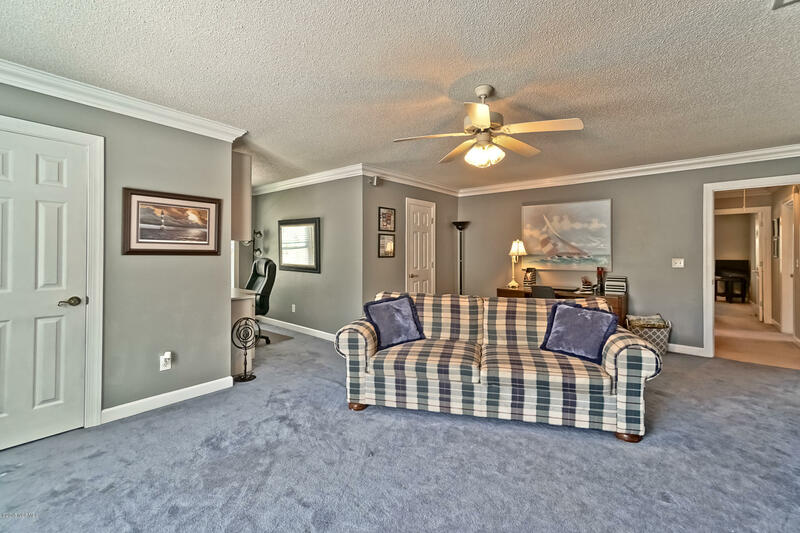 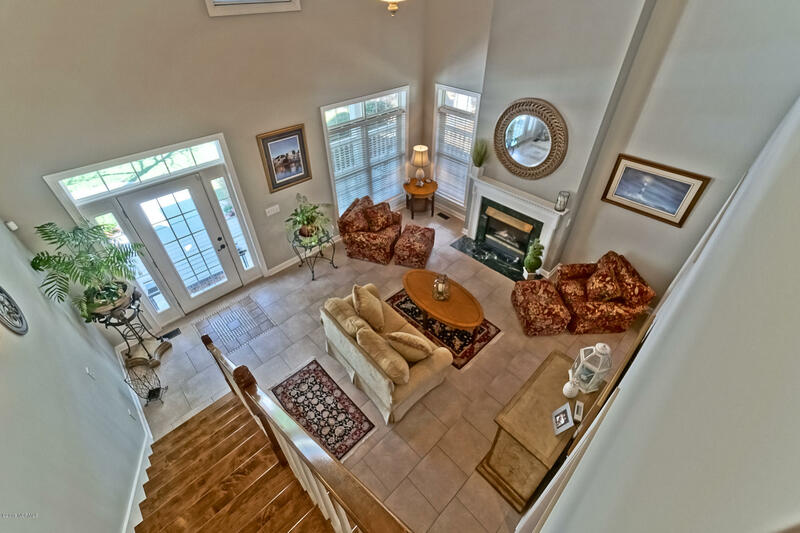 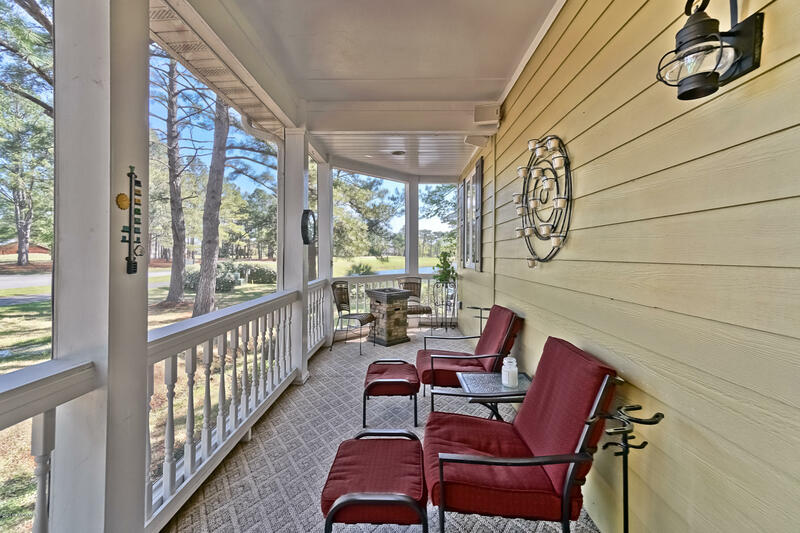 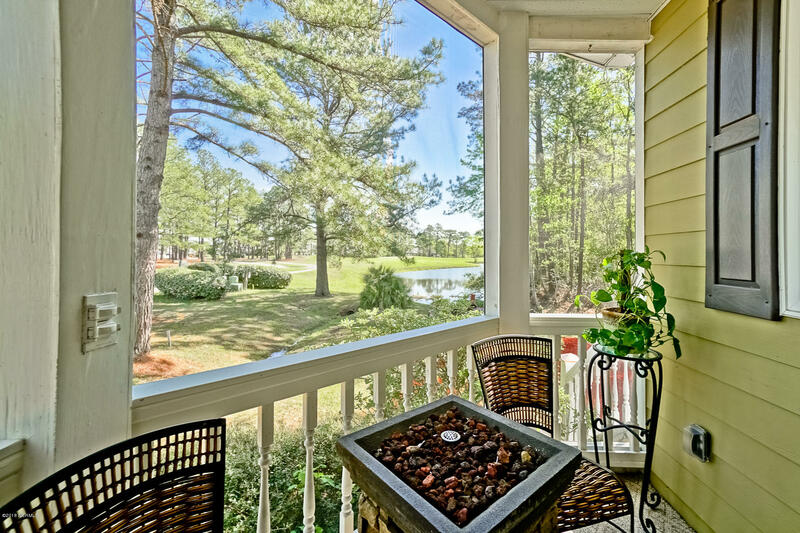 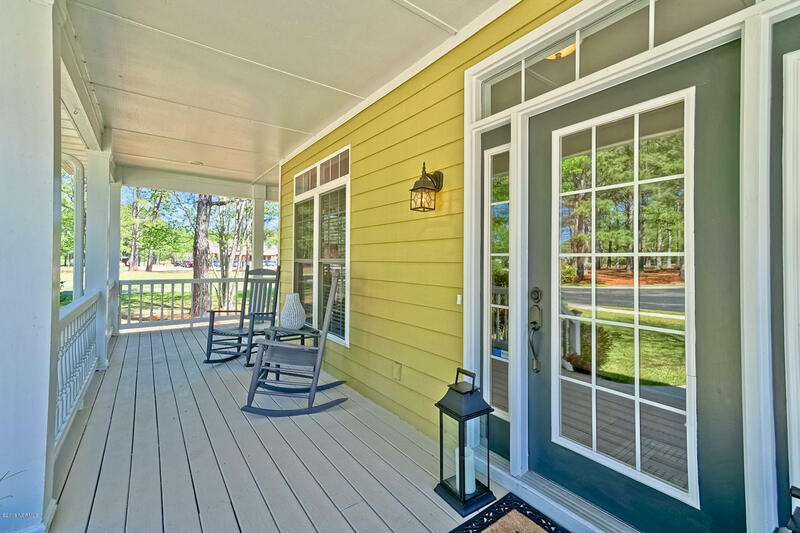 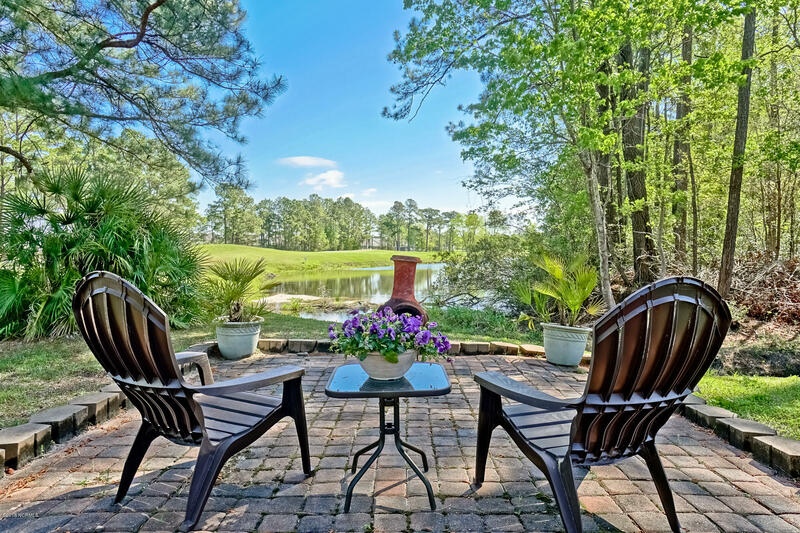 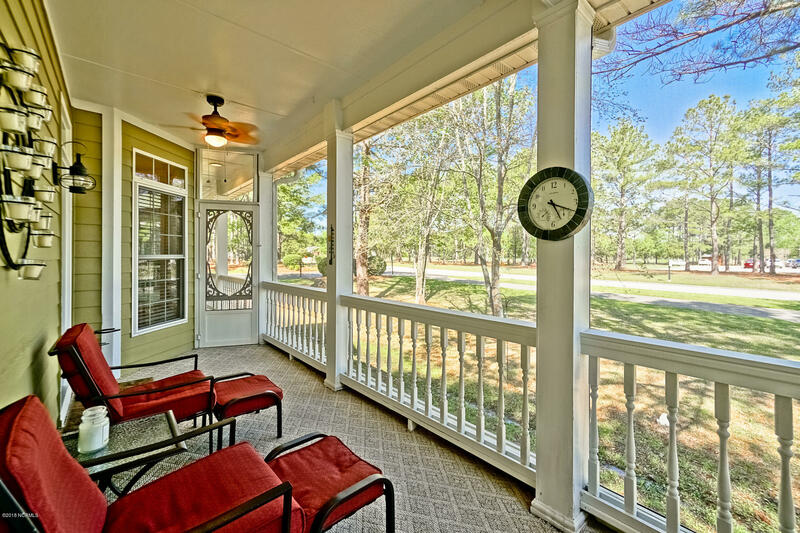 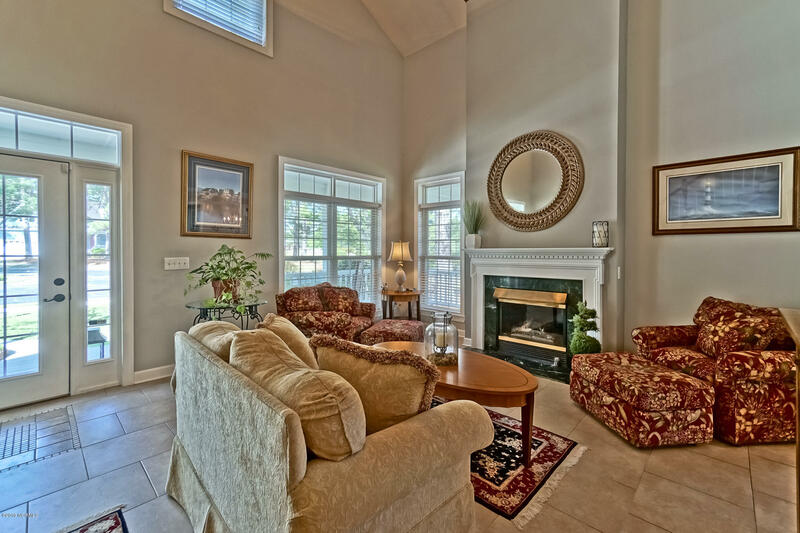 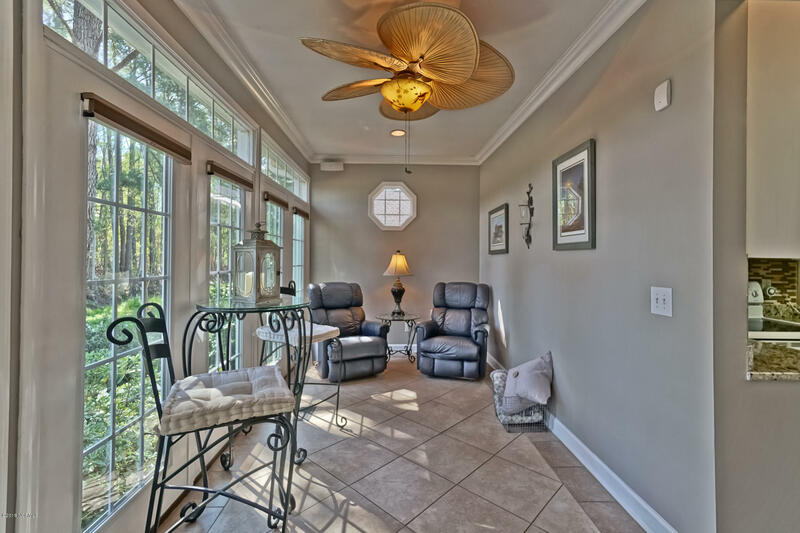 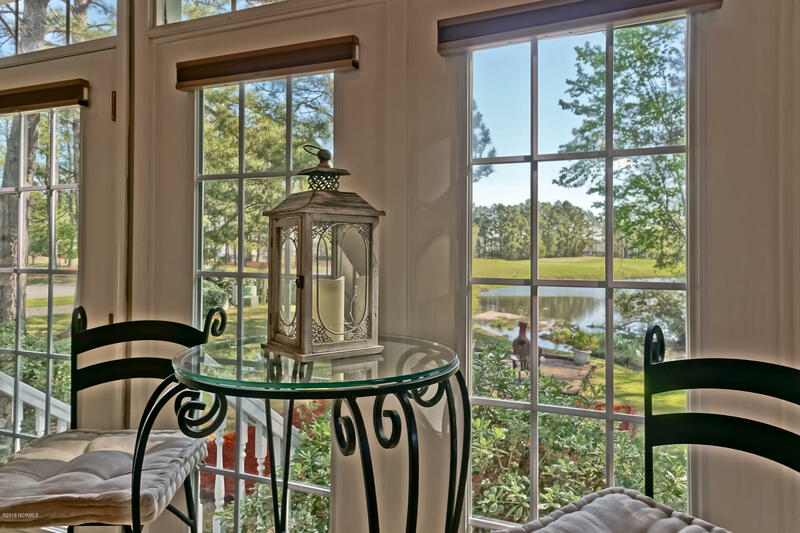 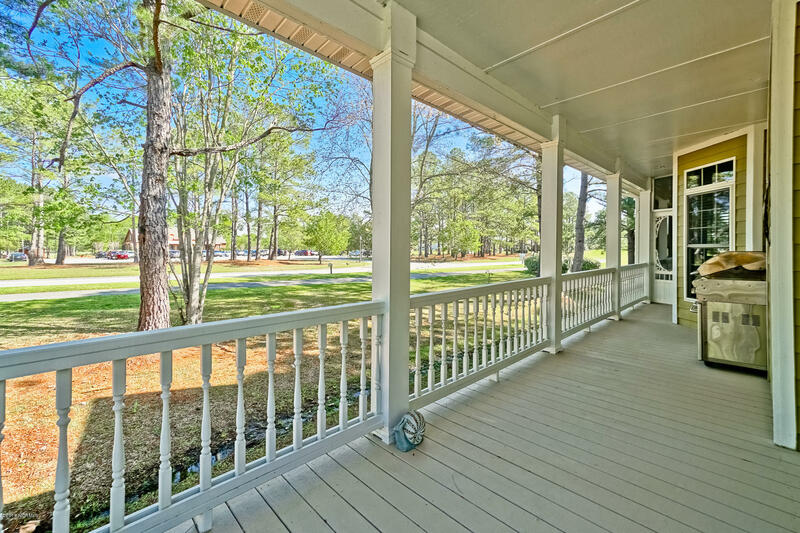 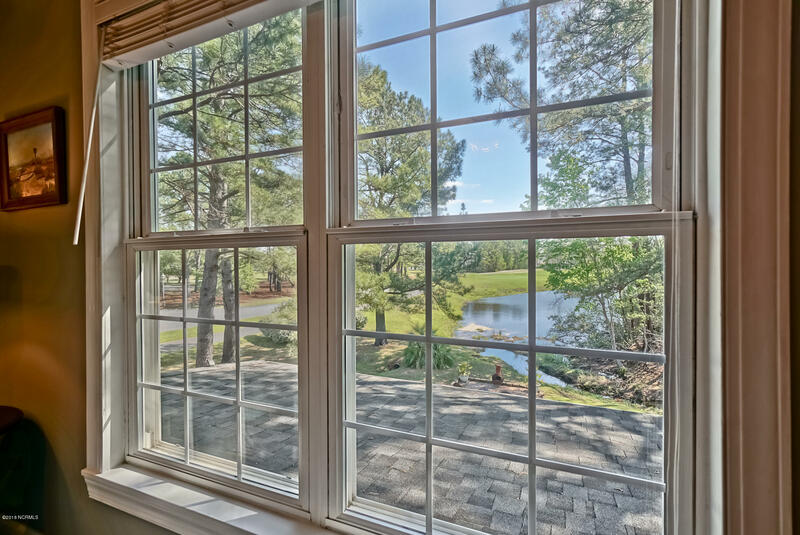 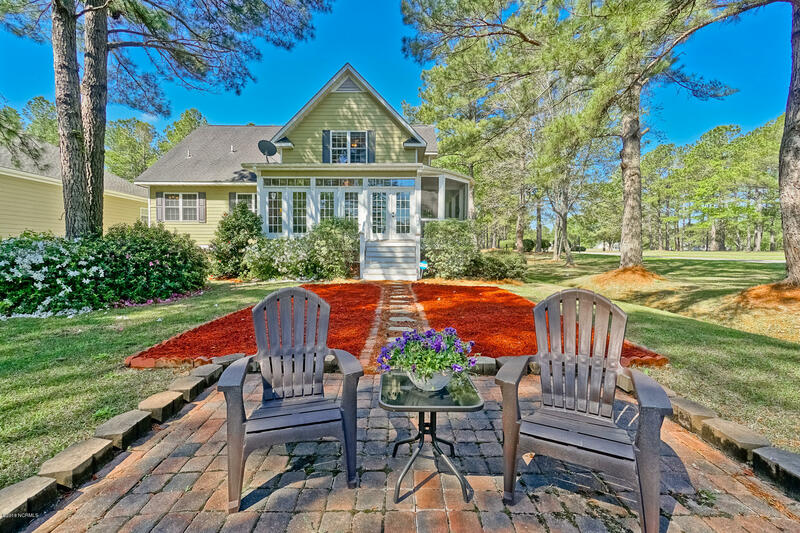 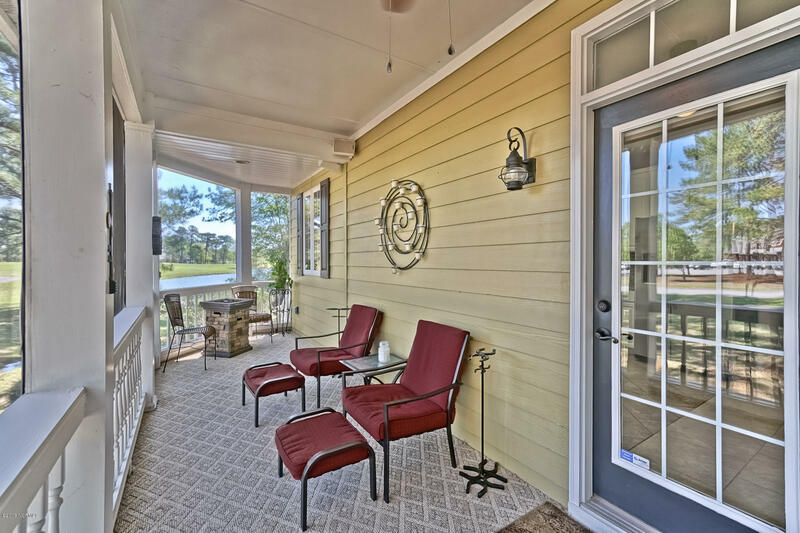 A cozy screened porch presents a view of anoutdoor brick patio with golf course and water views. 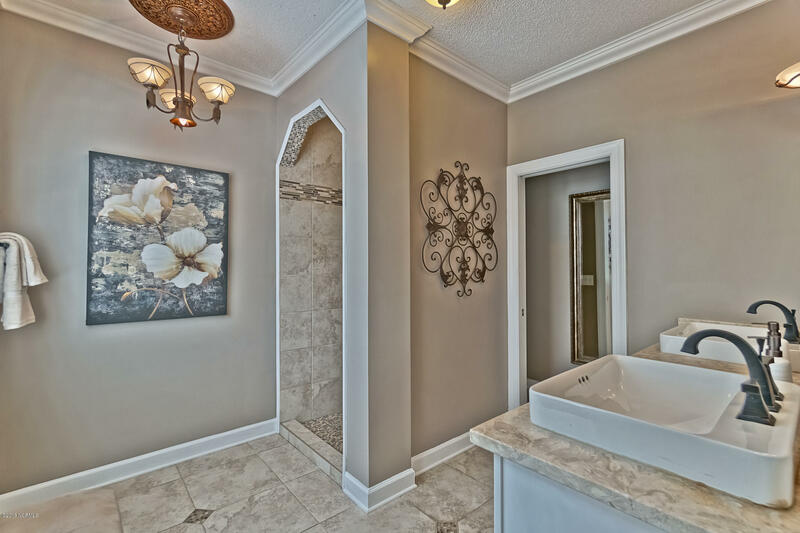 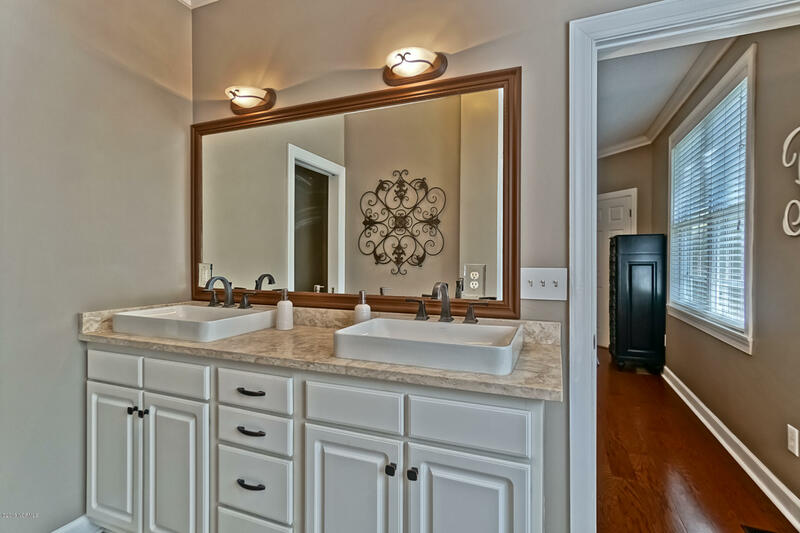 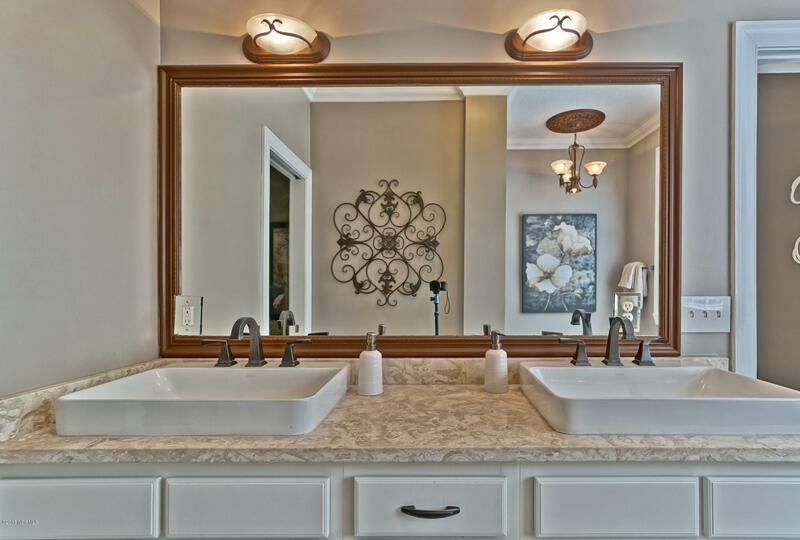 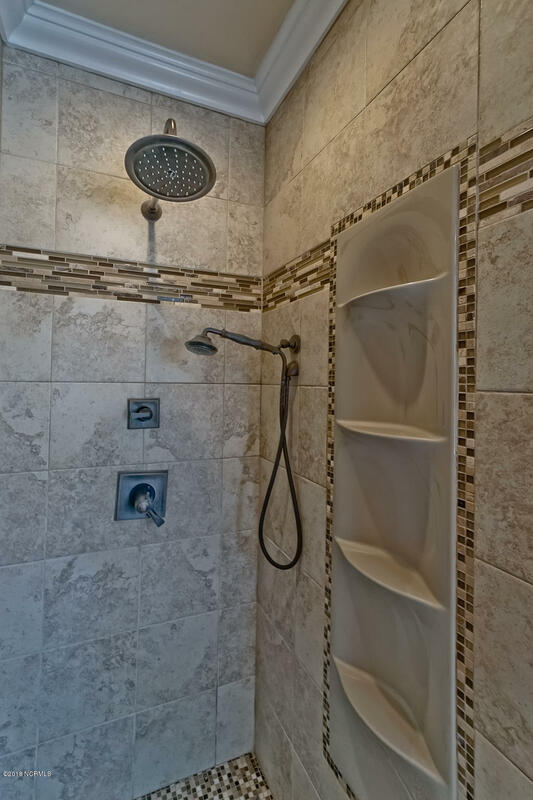 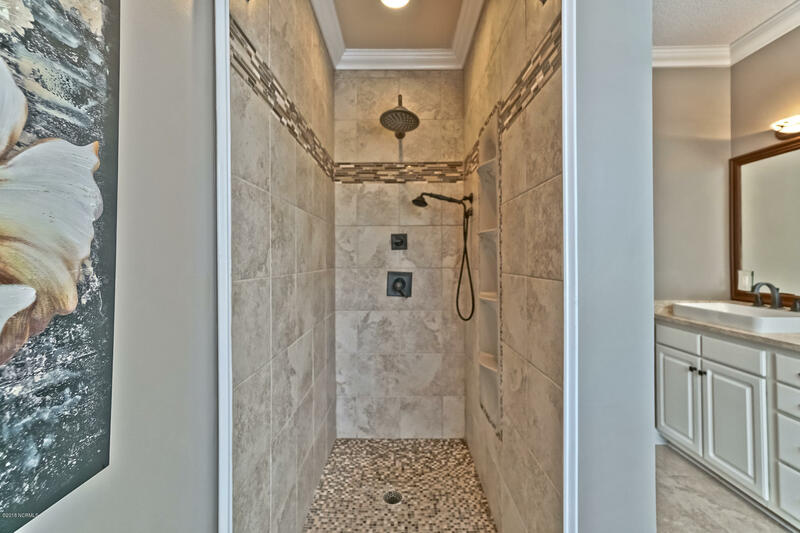 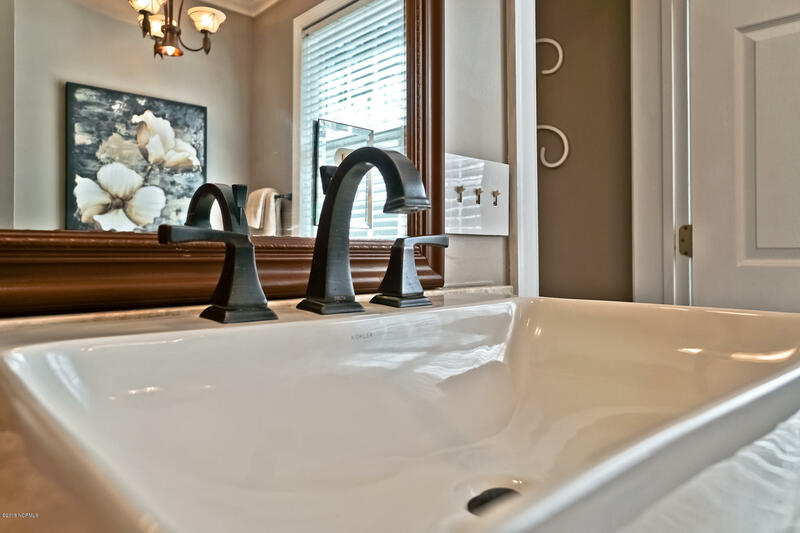 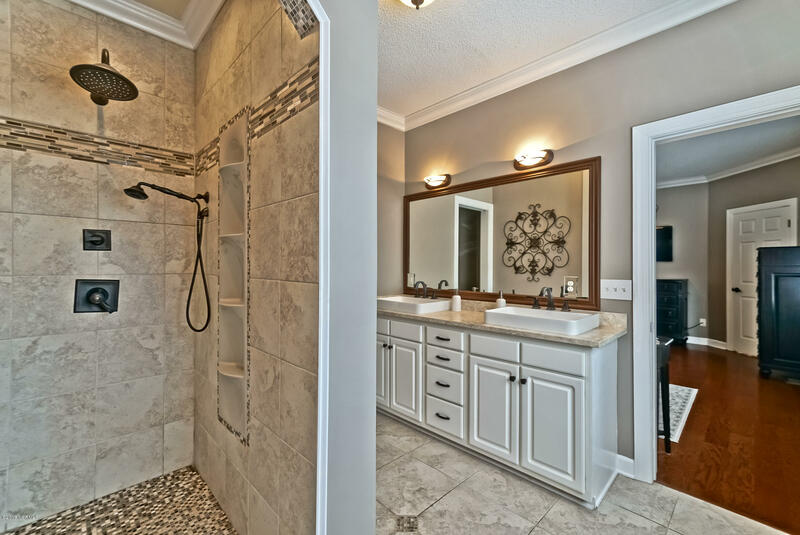 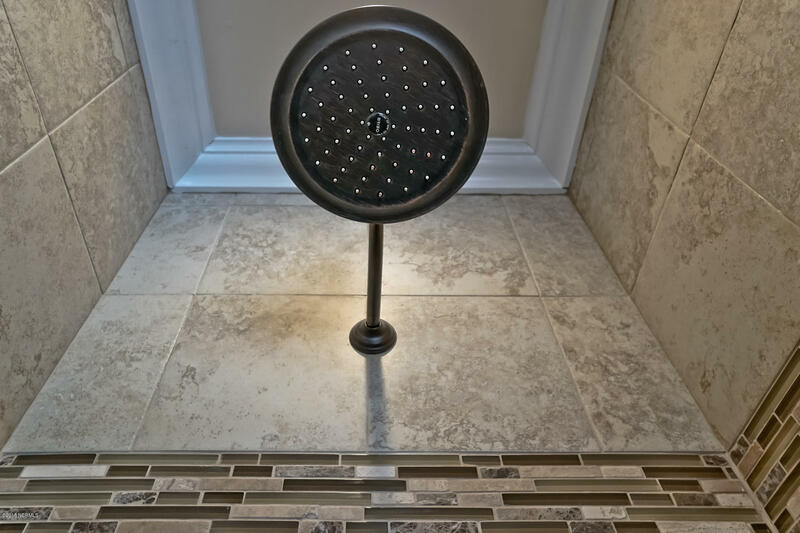 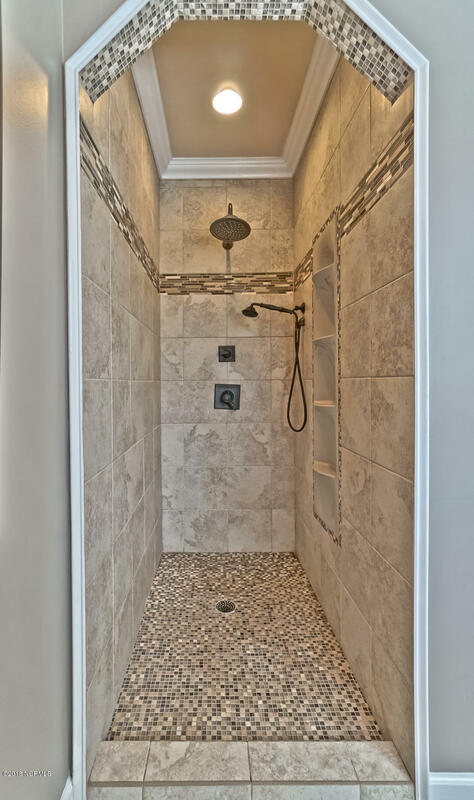 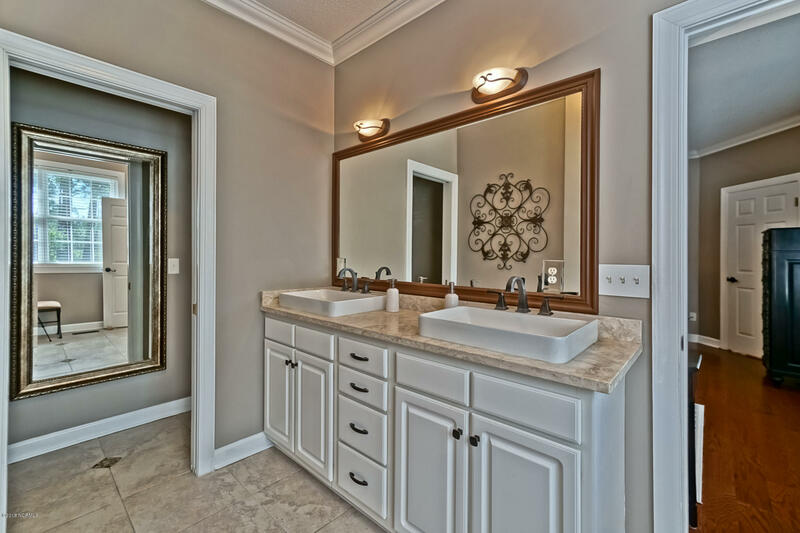 A delightful updated first floor master ensuite features hardwoods as well as a tempting walk-in tiled rain shower and double vanity. 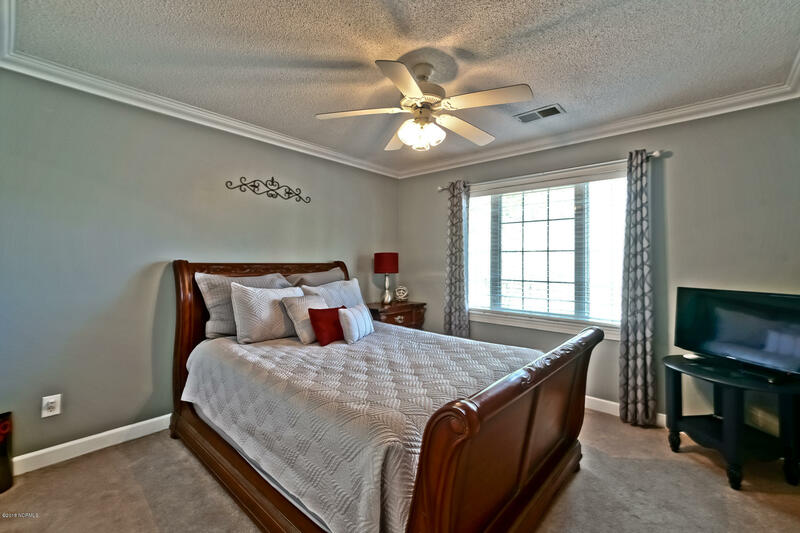 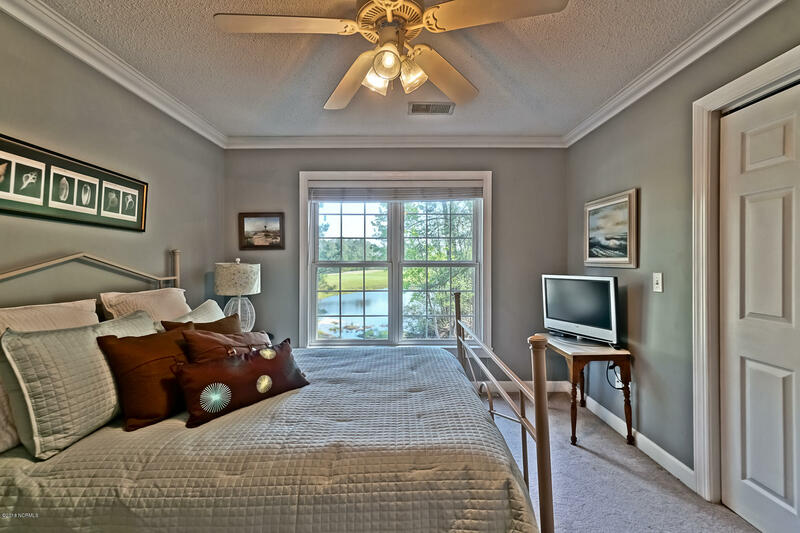 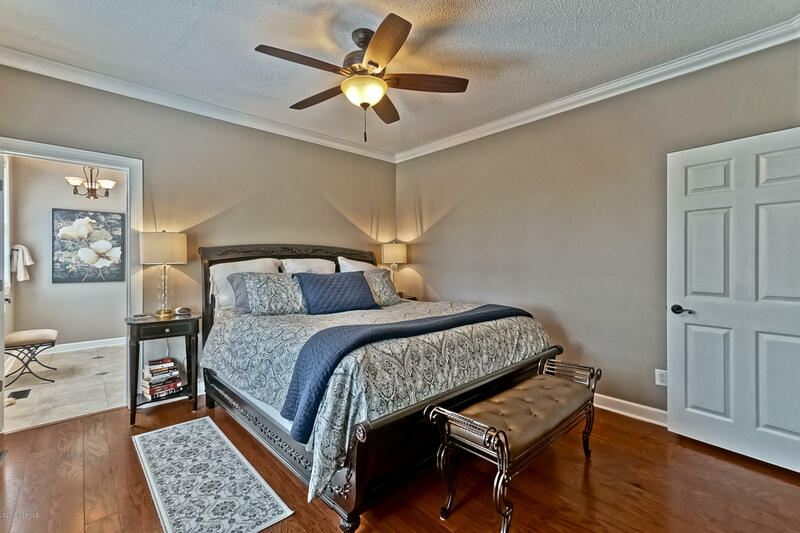 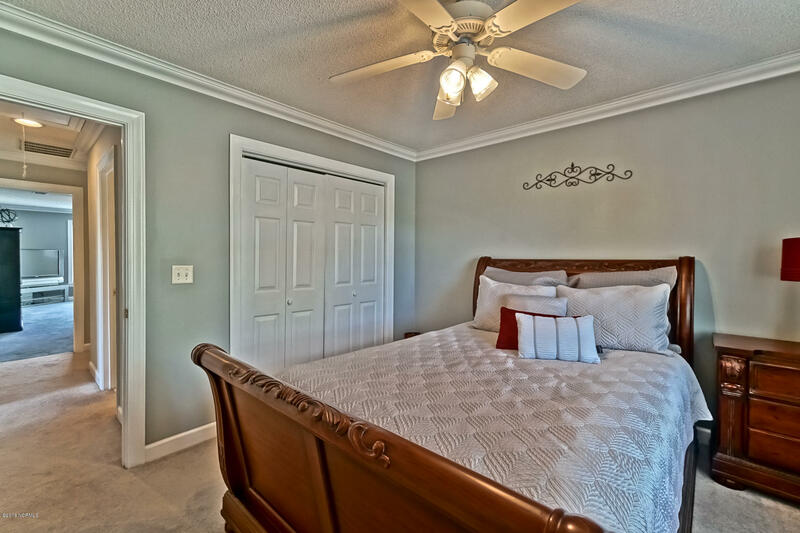 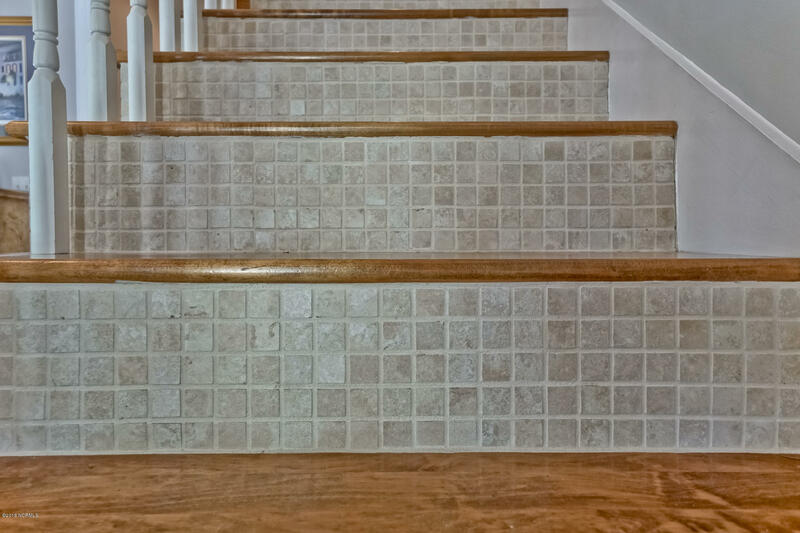 Upstairs presents two additional carpeted bedrooms with a shared bath. 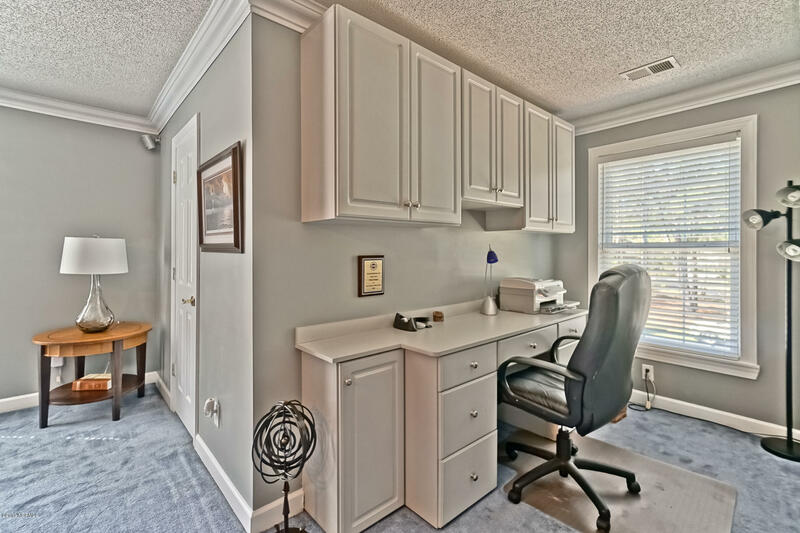 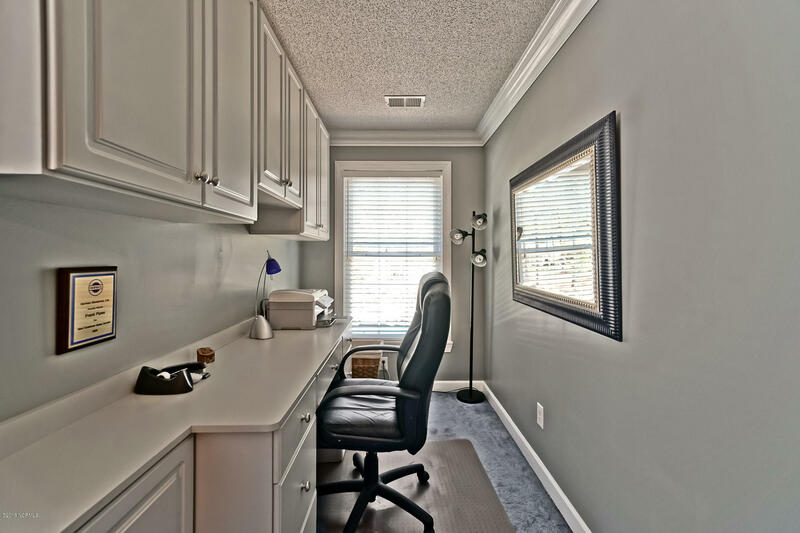 A large media room with an office nook and additional storage is a perfect hangout or place to get away for work. 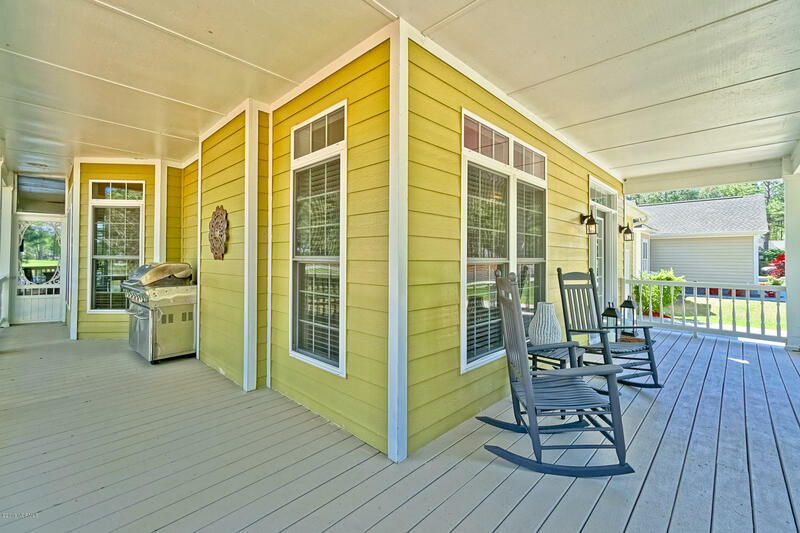 Home has Hardiplank siding and a two car garage. 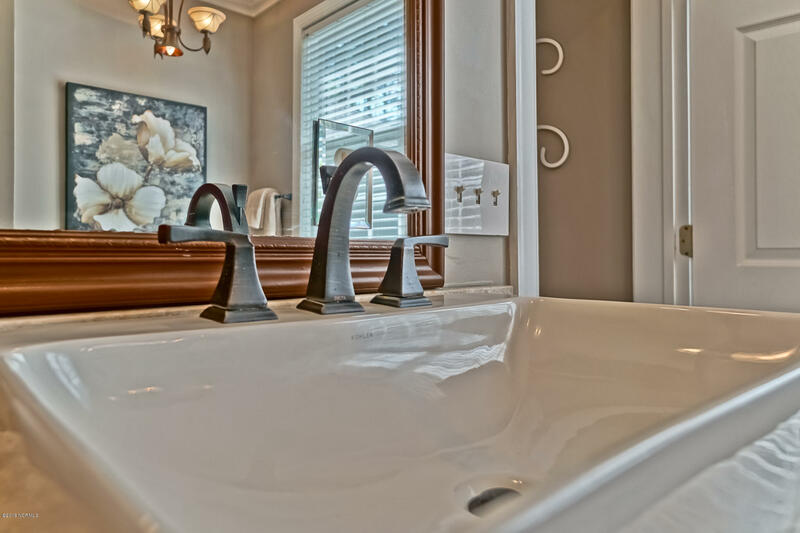 Neighborhood amenities include a community pool.